I don’t think it’s any secret that my favorite pattern is stripes. I could probably wear a different striped item of clothing or accessory every day for, well, many many days. My go-to striped piece tends to be a top, but because the print is so versatile, it works on pretty much anything else too. 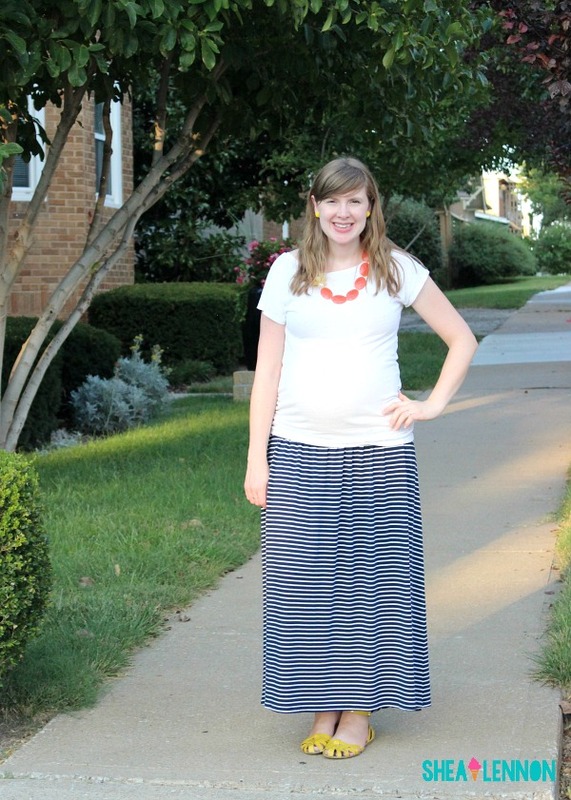 I bought this striped maxi skirt when I was pregnant with Jona, and I’ve enjoyed wearing it during this pregnancy too. I’m not sure there’s a more comfortable thing in my closet, which makes it even more appealing. I wore this on a Friday for work, then on a family ice cream outing (I swear, we do eat other foods!) and felt plenty comfy, yet put together all day. 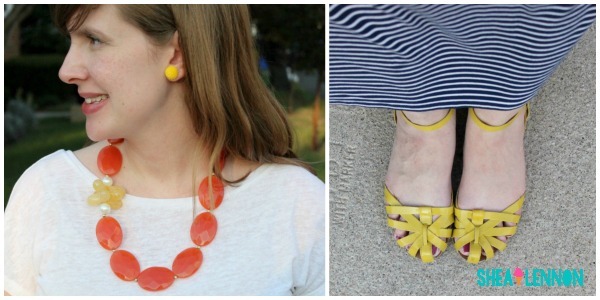 It’s hard to pick I know, but what’s your favorite way to wear stripes? 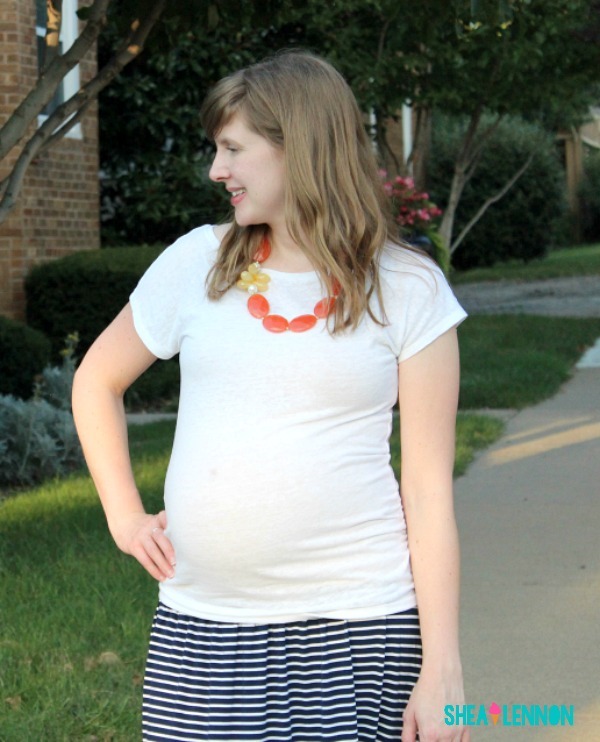 Since stripes are the theme for this month’s #momstyleremix with Anne and Jenn, I wanted to show a few other ways I love incorporating my favorite pattern. Below are a few striped pieces that I consider “wardrobe MVPs” because I wear them so frequently. Even if, like me, you already have a lot of stripes in your closet, I’m always on the lookout for more. Here are a few affordable, versatile striped pieces. I love striped too!! 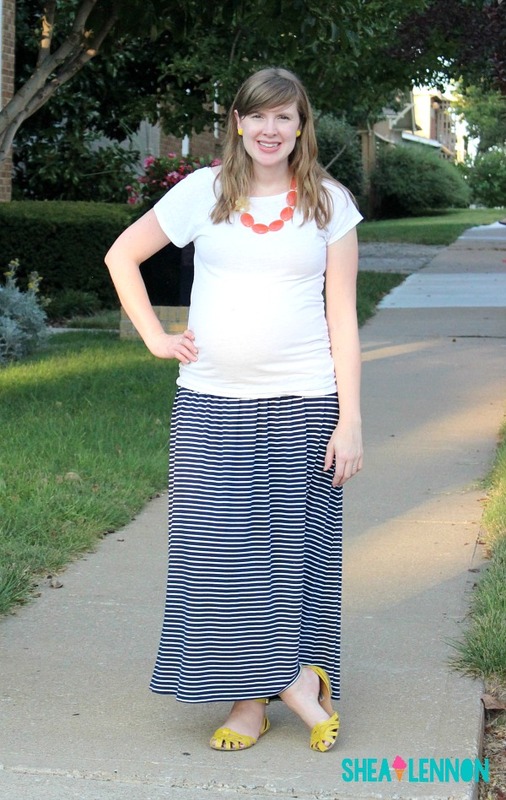 You can't go wrong with a striped maxi skirt!! Love stripes too! Such a great outfit!